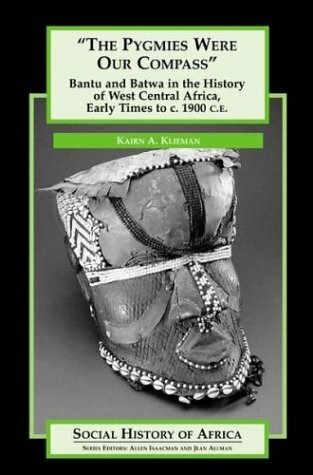 Covering more than 2,000 years this important region's history, this book is a groundbreaking contribution to the knowledge of pre-colonial Africa. Covering more than 2,000 years this important region's history, this book is a groundbreaking contribution to the knowledge of pre-colonial Africa. It is the first historical work to reconstruct a Batwa or Pygmy past, thereby questioning Western epistemologies that have long portrayed the Batwa as a quintessential people without history. Kairn A. Klieman is Assistant Professor in the Department of History, University of Houston. 8. 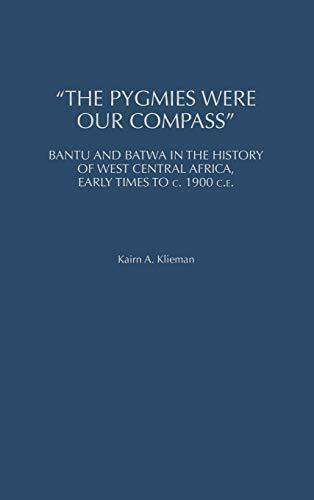 The Pygmies Were Our Compass: Bantu and Batwa in the History of West Central Africa, Early Times to C. 1900 C.E.